Your Friday prompt for Stream of Consciousness Saturday is: “real.” Use it with a prefix and/or a suffix, or just as it is. Have fun! As I get older, I like to think I’ve become more real, but what does ‘real’ mean? To me it’s a matter of aligning yourself with what’s important – the activities, people and environments that truly make you tick. It wasn’t always this way though. When I was in my twenties I was desperate to fit in, to do what others wanted and what society expected and as a consequence, I was angst ridden and irritable much of the time. I felt a need to meet someone and get married by the age of 30 with the view to having children before 35, and the years leading up to that age were stressful as I felt an urgency to ‘sort things’ out before it was too late. This is what realness means to me. It’s acceptance of ‘what is,’ rather than how you feel things should be. I’ve finally committed to writing and cut down on work so I can fit it into my day. I have less money, but I’m immensely happier. My life feels real to me now. The opening sentence for the March 25th Flash Fiction for the Purposeful Practitioner: This week’s’ challenge is an apology for the difficulty of last week’s challenge… Please include the words “a blinding light” somewhere in your flash. I’d only been there for three days when I first attempted the ‘jump.’ They say in Calais that you never forget your first one, but I firmly believed my first would be my last. I figured that the others had just been unlucky, and those who were still there after a few months, very unlucky! I was different though; things had always gone well for me. I opened my mouth to reply but decided against it. The poor chap had been there three months already – he was bound to feel defeatist. A few minutes later the motorway appeared like a blinding light out of the darkness. I felt a rush of excitement as I half walked, half ran towards it. That was six months ago. They say you never forget your first attempt. Written for Flash Fiction for the Purposeful Practitioner. Requirements: The opening sentence for the March 18th Flash Fiction for the Purposeful Practitioner: “This was the first time I had ever had to sign for a letter addressed to Occupant.” Please use this sentence (or this thought) somewhere in your flash. Create a flash fiction story using the photo prompt and only 200 words. As the picture took shape I began to imagine life inside it. I dreamed of living in a world of primary colours, where people and things could be painted into existence and one day, when I ventured nearer to check out the addition of a streetlamp, I found myself there, in a world of glorious technicolour akin to that of the Wizard of Oz. I only knew this when I heard a knock and realised I was in the house. I opened the door. A young postman in a bright red uniform was standing there. He handed me something. This was the first time I had ever had to sign for a letter addressed to Occupant. Your Friday prompt for Stream of Consciousness Saturday is: “egg.” Use it as a noun or a verb. Enjoy! Some time ago, Mum came to stay with me in London. My dad had died a few years before that and Mum wasn’t managing well alone so I invited her down for a few days. Of course I loved having her to stay but she brought with her some rather orthodox values. She found it very difficult to accept that I was in a relationship which involved my boyfriend spending the night with me, in my bed. ‘It would never happen in my house,’ she said. ‘But it’s not your house, it’s mine,’ I said. And so it went on. Anyway, my boyfriend at the time happened to be a drummer and his hours of work tended to be rather anti-social, with him very often not turning up at mine until well after midnight. I told Mum this and mentioned that I wouldn’t be needing tea in the morning as I probably wouldn’t go to bed until late. She pulled a face and nodded and nothing more was said on the matter. Adrian appeared at around 3 am and we collapsed into bed. The next day there was a knock on my bedroom door at 7. I dragged myself up to answer it, only to find Mum standing outside with a stony face and two mugs. ‘Cup of tea?’ she said. I couldn’t believe it, especially after what I’d said the night before, so I had a go at her and went back to bed. I hadn’t been seeing Adrian long and didn’t want to ruin anything so I wandered through to the kitchen to find Mum sitting at the table, looking rather dejected. ‘Yes I realise that and I’ll try to get it used to it but it’s not easy for me,’ she said. Anyway, I tried to comfort her and eventually when she seemed happier, went back to bed. By this time it was 7.30. I’d just got back to sleep when at 8 am, there was another knock at the door. I got up to find Mum was standing there with two saucers. 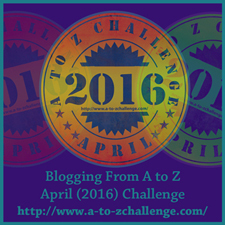 This week I came third in the Sometimes Stellar Storytellar Six Word Story Challenge. The theme was regret. My story is above. My entry to this week’s Ad Hoc Fiction competition (a story of around 150 words). It had to contain the word ‘branch.’ You can vote for it or enter yourself here! After the argument I wandered through to the living room and glanced outside. Between the interstices of the blinds I spied a green parrot, swooping up to the top branch of the tallest tree and then down to the small bird table in our neighbour’s garden. It paused there for a moment, then repeated the journey twice, landing on the same branch each time. The branch seemed grateful for its visitor, and stretched upwards into the leaden sky as though out of gratitude. ‘Where did that parrot come from?’ said John. I hadn’t heard him come in and his voice was softer than half an hour before. ‘Beautiful, isn’t it?’ I murmured. Its chartreuse feathers were in stark contrast to the gloomy winter surroundings. ‘Mmm,’ said John. ‘Forgiven?’ And he handed me a mug of steaming coffee and pulled me into his arms.